Hi, our names are Tom and Sarah, we have a little girl Ella who is 5 years old and We need your HELP!! 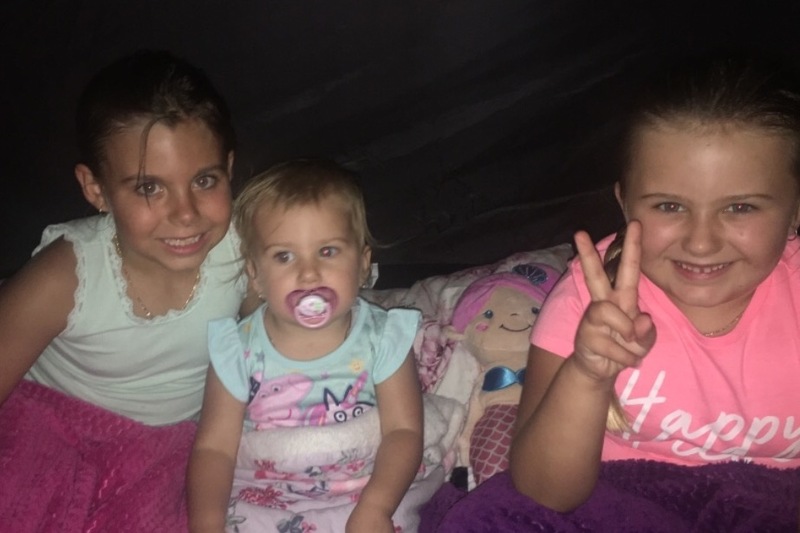 Ella started with headaches in January 2018 and in October 2018 she had a MRI where she was diagnosed with a Symptomatic Pineal Cystic brain tumour. 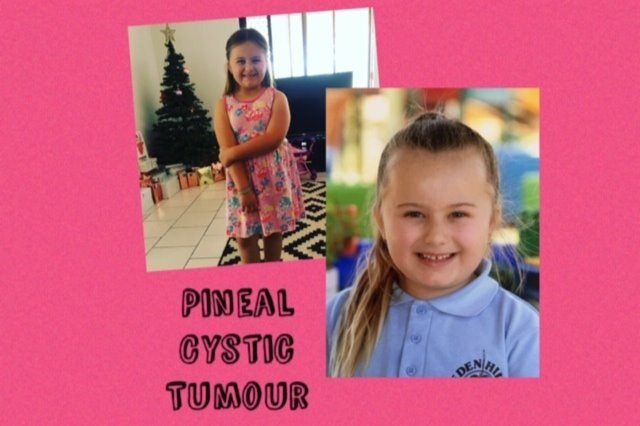 Ella’s pineal Cystic tumour is around 22mm and causing a lot of symptoms that include daily headaches, dizziness, nausea, memory loss, eye pain & blurry vision, speech problems, sleep problems & more. 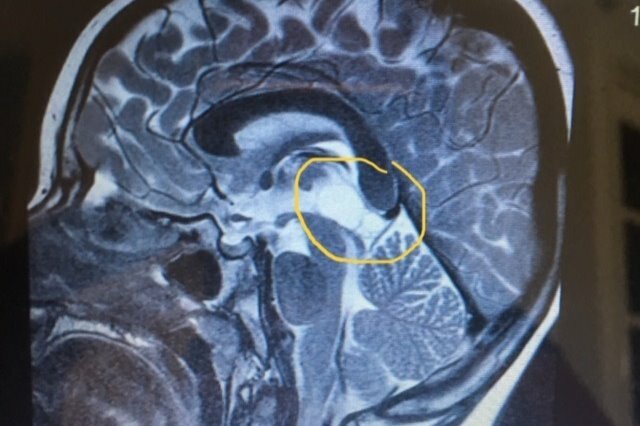 The cystic tumour is also causing problems as it is compressing on the aqueduct and there is minimal to No fluid flowing around her brain like there should be. 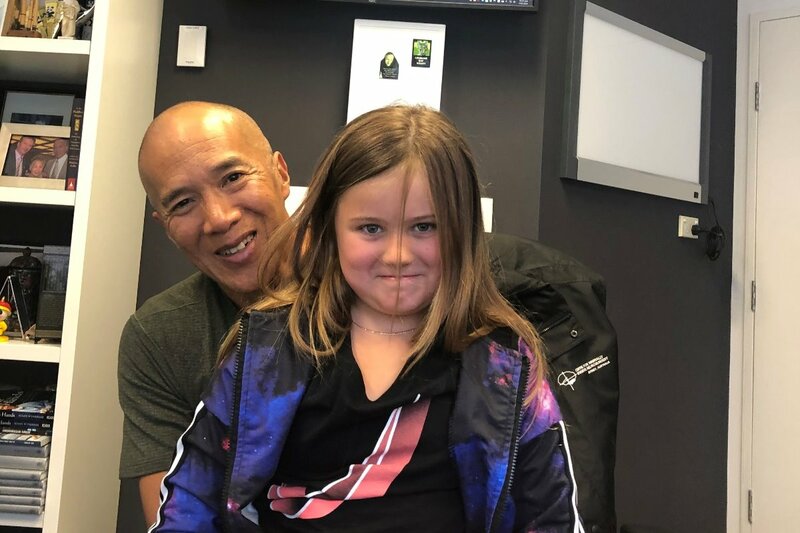 We met with Dr Charlie Teo who was blown away by what he saw and recommended surgery so Ella can hopefully get her life back and become the bright, bubbly, active child she was before. Now this is the tough part asking for help. Surgery with such a brilliant neurosurgeon ( the only one in Australia that will operate on this part of the brain ) doesn’t come cheap costing upwards of $100,000. So we are asking for your help to raise the funds so Ella can get this surgery. We don’t have a surgery date as of yet until the funds are raised. Today I was on 6pr again to do a update on Ella’s story since our event on Monday and it airing on Channel 9 on Tuesday night. Oliver peterson announced this afternoon that a amazing man by the name of Tony Galati from the spudshed would be putting the remaining amount of money that was needed to Ellas surgery. We are beyond grateful and I’m so lost for words. My emotions are everywhere and head is spinning but relieved at the same time. Once we have a surgery date i will update again and let you all know. Thank you again to every person that has shared and donated, you have all helped us reach this goal. Your support is incredible. We will have upcoming events coming up still as we will have on going costs after surgery. Will post all events on the wishing well for bells Facebook page. Just a quick update on the fundraising and on beautiful Ella. Firstly Thank you from Tom, myself and our whole family for every single donation, social media share and just thinking of Ella. It really means the world to us that Ella’s story is getting out there so much. We are currently at around $75,000 toward surgery. $25,000 to go. Woohoo!!! We are so thankful to our family, friends, businesses & strangers ( we may not know you but you feel like family now ) for all your generosity. Ella has had some rough nights not sleeping much with headaches that seem to be getting worse by the day. She hasn’t attended school very much and when she does she only seems to make it half a day or so. She really hates missing out but she knows her health is much more important and she just wants these things out of her head.